Readers’ Favorite announces the review of the Fiction – Science Fiction book “NanoMorphosis” by Marla L. Anderson, currently available at http://www.amazon.com/gp/product/B07C74RTJR. What began as simply a mission to install a satellite turned into something that shaped and changed the course of Daniel Walker’s life. When he finally manages to get his ship into orbit, however, the trip to Tau Medea, and especially the trip back, is definitely not what he expected. The new life form that they encounter on the trip creates a completely new situation they have no idea how to resolve. But there’s something else going on back home. 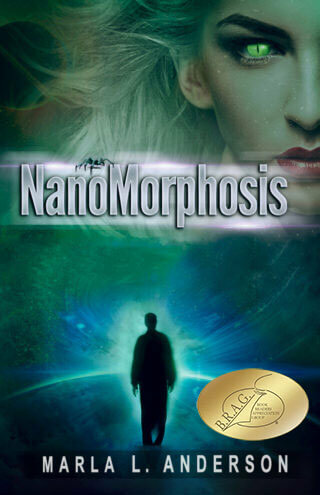 Cadmon’s life was never easy, and now he has developed something that can save his life and make it better than ever, but there are consequences, or maybe that’s exactly what Cadmon wanted in NanoMorphosis by Marla L. Anderson. You can learn more about Marla L. Anderson and “NanoMorphosis” at https://readersfavorite.com/book-review/nanomorphosis where you can read reviews and the author’s biography, as well as connect with the author directly or through their website and social media pages.